Left 2 TOYOTA Design Center GM. : TOMIO YAMAZAKI. ﻿﻿﻿﻿﻿﻿﻿Super Textile was honor to be invited to join the Taiwan and Japan design seminar held in Sung Shan tobacco area on 13th Dec. The seminar hosted by Universal Design Mr. Satoshi Nakagawa, with the OMOIYARI (Meaning: Design beneficence) concept, Japan TOYOTA Design Center GM. Mr. Tomio Yamazaki and YANMAR Mr. Yasunobu Sano give brief analysis in a whole view point on the Japanese design. The seminar also presents the concrete practical results of Japanese design in consideration of the human, social situation and ecological environment. Super Textile and Rooster Lighting were the sponsors, invited in the seminar. The two Taiwan local enterprises share their experiences with the attendants regarding the concept of “Disaster design” and “Design for life survival”. Super Textile also presented their products of Polar Bear, Blanket, Eco-Bag, in the seminar, which of the raw material are out of recycled pet bottle. 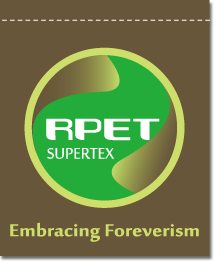 It’s over ten years ago, Super Textile with the concern of the environment and our life, started the research and development of the recycle pet bottle. We make garments, blanket for disaster relief and tent out of recycled pet bottles. Super Textile arise a concept of “City Mine” in the seminar, which aims to encourage more people to devote themselves in the resources recycling. If there are more and more people doing the jobs everywhere, Super Textile will integrate all the effort of everybody done our mother land will be benefited from our dedication.